Christopher Hanke was born in Lippe-Depmolt, Germany on June 29, 1826. His wife Frederika Steinmann was also born in Germany in 1830. They were married in 1851, and in 1854 they sold their farm and came to America, first to Ohio, where son Charles was born. They lived in Minneapolis and/or rented a farm before they came to St. Louis Park. Christopher had taken in indigent and mentally ill people for a fee from Hennepin County and the City of Minneapolis in 1862, but it’s unclear if he lived on his St. Louis Park farm yet at the time. 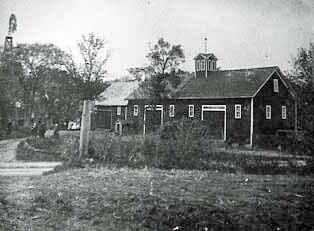 The Hanke Farm: In 1864 Hanke bought 205 acres from the estate of David Spearin Pratt. The land covered either side of Excelsior Blvd., and either side of France Ave. An 1889 map shows that he owned a 115-acre parcel on either side of present-day Excelsior Blvd. 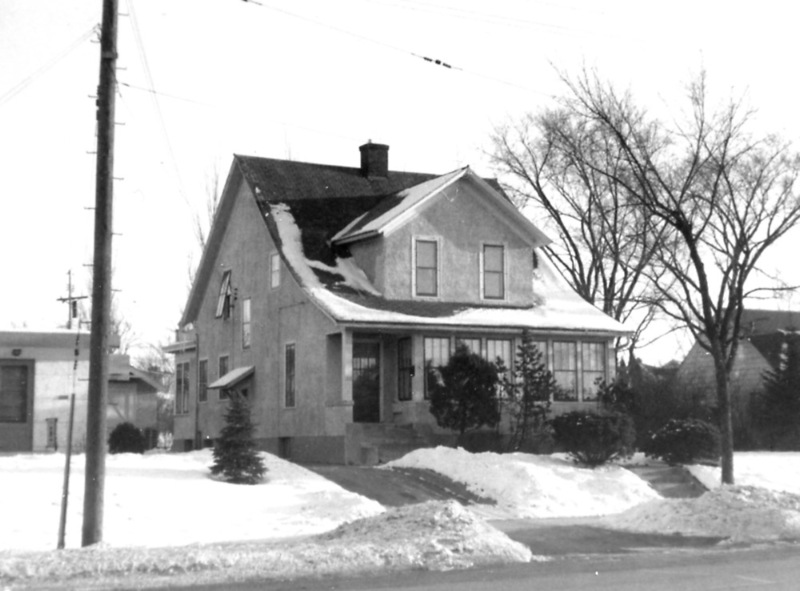 from Joppa to France Avenue – perhaps by then he had sold the property east of France Ave., which is now the Minikahda Golf Course in Minneapolis. We are glad to see that the old Hanke homestead on lower Excelsior Avenue is being remodeled into a modern home with a large living room, dining room and sun parlor, four bedrooms and bath and a fine kitchen with a new electric range. It isn’t often that a building eighty years old can attain such new, modern devices. Mr. Hanke reports that the original beams were so strong and sturdy that they were sawed with difficulty. The problem with this account is that it would mean that the homestead was built in 1848, which was before the Hankes came to America! So take that eighty years with a grain of salt. What happened to that original homestead is unknown. A map from the 1920s shows that C.H. Hanke owned 73.04 acres north of Excelsior Blvd., much of it covering the Bass Lake area. 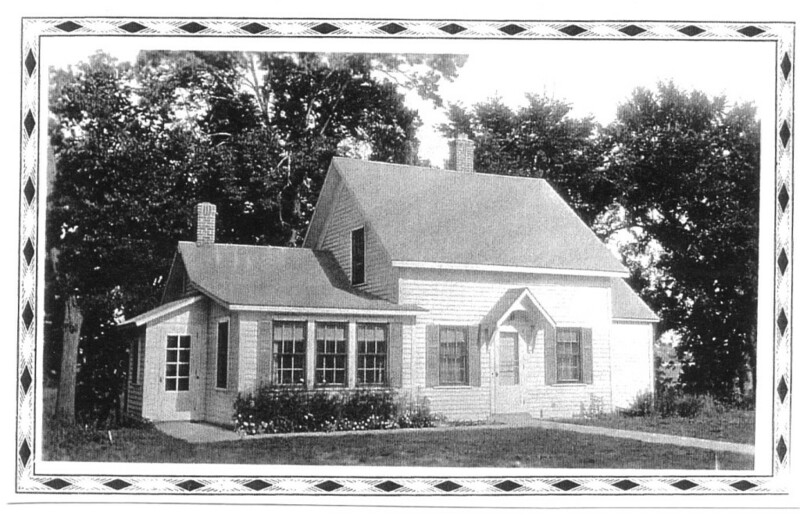 The “Little House” was located south of Bass Lake, on Excelsior Road [Blvd. ], just east of 4100 Excelsior, where an apartment building now stands. The Hanke Barn: The famous Hanke barn was built in 1876. It measured 88 x 36 ft., was four stories high, and was considered the second-best in the country. Hanke raised full blood Jersey cattle, Chester White and Poland China swine. He also had a granary 73 x 24 ft., three stories high. Mrs. Hanke manufactured 2,000 pounds of butter for private customers each year. It is also unclear where this structure was located, although one picture indicates that it was on France Avenue. Hanke was said to be the best butter maker in the northwest, and students from the University of Minnesota came to see how it was done. 4131 Excelsior Blvd. 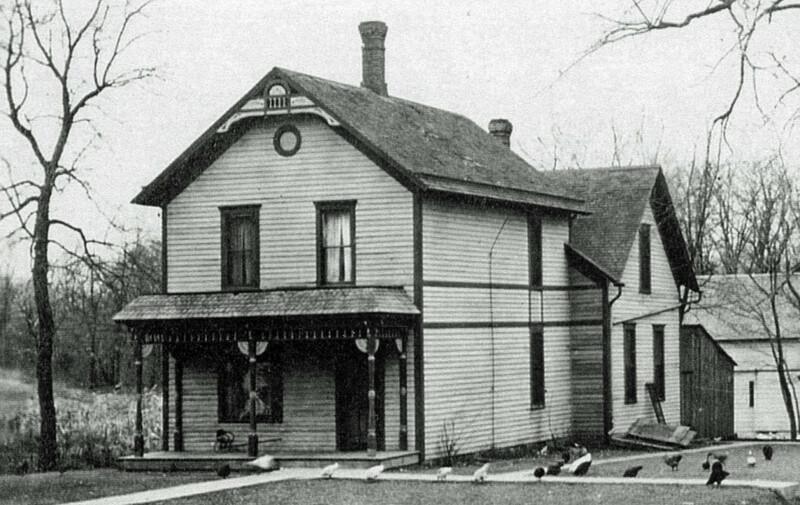 County records show that this house was built in 1884. It stayed in the Hanke family until 1920. It was owned variously by Christopher, Charles, Louise, and Lydia Hanke, as well as their nephew Ion Patch. Today the house is a duplex. 4131 Excelsior Blvd. Photo taken in 1955. 4100 Excelsior Blvd. : Christopher Hanke built the house in 1900, often referred to as “the big house.” It was located on the northwest corner of Excelsior Blvd. and Huntington. The house had six bedrooms, a full basement, and a dining room big enough to use as a dance floor for 75 people. 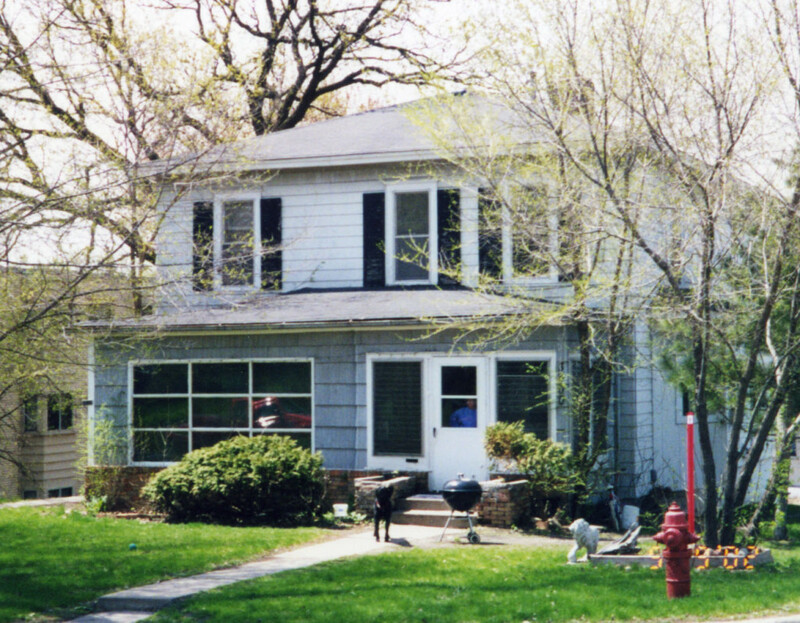 After the death of son Charles’s wife Amanda, Ralph Hunsaker, the proprietor of Brookside Drug, purchased the house from the Hanke Estate in 1945 and lived there until 1950. From 1952-54 the building housed the Park Nursery School. In 1958 the house was sold to State Automobile and Casualty Underwriter, Inc. of Des Moines with the proviso that it be moved. It was threatened with destruction, but was moved to 3600 Lynn. In the process of the move, the entire third floor attic was removed. The current building at 4100 Excelsior Blvd. was built in 1959 by the insurance company. Sela Roofing has been there since 1992. Charles Hanke: Charles was born in Ohio in 1856. He had two children by his first wife and four by his second, plus an adopted son. He was on the Board of Education in 1893-94, served as Village Recorder in 1886, and was President of the Village Council (Mayor) in 1908-10 and 1912-16. He died in 1932. Developing Hanke Land: It appears that the selling off of the Hanke farm began in earnest in the 1920s. Hanke’s Replat was recorded on July 9, 1923, clearing the way for lots on the south side of Excelsior Blvd. to be sold. This may have been part of the land that Louise Hanke inherited from her father when he died in 1903 when she chose land over money. She and her husband, Dr. John Watson, hired John Reid of Wadsworth and Reid to sell the plats. Other plats were called West Minikahda and Hanke’s Minikahda Terrace (platted November 29, 1916) were so named because they overlooked the Minikahda Golf Course in Minneapolis (between 34th and 36th, France and Joppa). An aerial photo of the area that was the Hanke farm taken in 1931 shows a smattering of houses built in the 20s. The advertising pamphlet for the new development listed “Twelve Facts to Consider Carefully.” One promised “Building restrictions of $5,500 to $6,500 to protect your home investment” Also see Minikahda Vista. The Hankes are buried at Lakewood Cemetery, with a wonderful memorial marker installed in 1903.